It's easy to take your health for granted when you're fighting fit and life is good. The worrying thing is that your health can deteriorate at any time. You may not even give your heart a second thought, as its beating away every second of every hour. But good health is never guaranteed. When it comes to your heart, there are lots of things that you can do to improve your health and prevent damage. In contrast, there are choices you can make that could result in harm and even shorten your life. 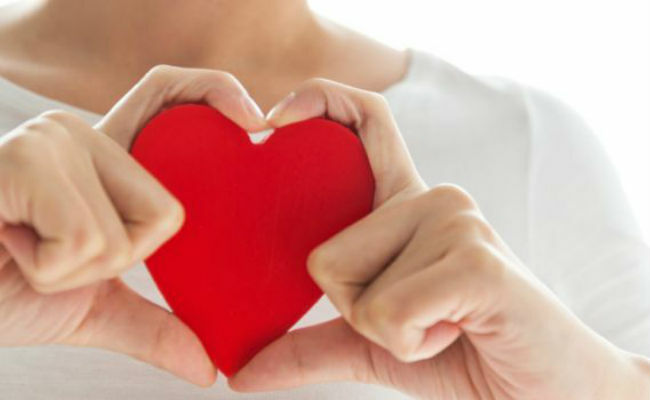 This guide to heart health will help you make positive choices, and try and reduce your risk of cardiovascular problems. Heart disease is an umbrella term, which covers a range of conditions and diseases that affect the heart muscle and the vessels that surround it. Heart disease is one of the USA's biggest killers. Every year, more than 600,000 lives are lost to this illness. Angina is characterized by chest pain, which is often described as a feeling of tightness or heaviness in the chest or a dull ache. In most cases, pain is confined to the chest. However, it is possible for discomfort to radiate to the arms, neck, and jaw. In most cases, angina occurs when the arteries that supply the heart with blood become narrow. This is a result of atherosclerosis, a condition that causes fatty deposits to gather in the artery walls. 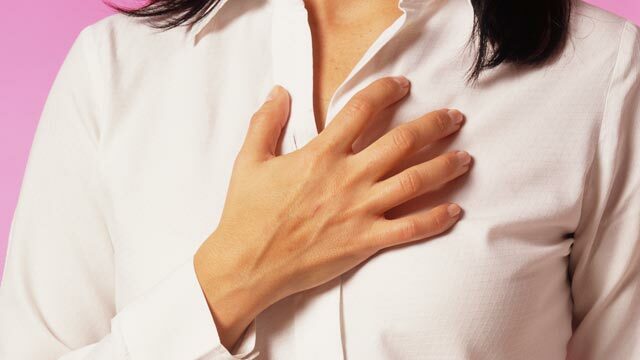 Many people find that chest pain is triggered by illness, stress, eating or physical activity. It is also possible for angina to develop in people who don't have atherosclerosis. Medication is usually used to control symptoms of angina. If you experience very sudden chest pain, and you haven't already been diagnosed with angina, seek urgent medical help. When your heart beats, it has a rhythm. The rhythm of your heart is controlled by electrical impulses. If your heart is beating too fast, too slow or there is an irregularity in the rhythm, this can affect heart health. If your heart beats too fast, you may have tachycardia or atrial fibrillation. If your heart rate is slow, this may indicate brachycardia or bradycardia. Atrial fibrillation is the most common form of arrhythmia. It causes your pulse to become irregular, and may also result in palpitations, sweating, dizziness, and breathing difficulties. Atrial fibrillation is a common risk factor for stroke, so it's incredibly important that it's detected and treated accordingly. If you're keen to do some research, visit www.AbbottEP.com to learn more. A heart attack is perhaps the first thing you think about when you hear the words heart disease. A heart attack is a very serious medical condition, which can be fatal. Heart attacks occur when the blood supply to the heart is blocked. This prevents oxygen from reaching the heart muscle. Symptoms of a heart attack include chest pain, which may spread to the arms, back, neck or jaw, breathlessness, feeling faint, sweating, and nausea. In most cases, heart attacks are caused by coronary heart disease, which causes the vessels that supply the heart to become blocked. Heart failure is most common in older people, but it can also arise following trauma or a heart attack. It affects the heart's ability to pump blood around the body and usually results in gradual deterioration. What causes heart disease and how can I protect my heart? Many cases of heart disease are linked to lifestyle factors. The decisions you make can have a major bearing on your health and your life expectancy. Here are some of the most significant risk factors for heart disease. Today, many of us have a sedentary lifestyle. We spend most of our day sitting at a desk only to again sit on a bus or train to get home and then curl up in front of the TV. Being active reduces your risk of heart disease because it helps to prevent high blood pressure, high cholesterol, and diabetes. Your heart is a muscle, and if you work out regularly, it will get stronger. When you're moving, your circulation also improves, and there's a lower risk of obesity. If you do spend long periods of time sitting down every day, try and make an effort to move more. Walk or cycle to work if this is a viable option. Take the stairs rather than the escalator. Join a gym or start jogging after work. All you need to do is get your body moving for 30 minutes five times a week, and you'll notice incredible changes in both your physical and mental health. If you're overweight, this can put a strain on your vital organs, including your heart. Your heart has to work harder to pump blood around your body and being overweight also increases the risk of high blood pressure and high cholesterol. These issues elevate the risk of atherosclerosis, a major cause of heart attacks and stroke. You're classed as overweight if you have a BMI (body mass index) of 25 or over. If the figure is 30 or over, this indicates obesity. If you don't know your BMI, you can search online for a quick and simple test. All you need to do is provide your height and weight, and the tool will work out your BMI for you. Alternatively, your doctor or pharmacist will be able to calculate your reading for you. If you are overweight, take steps to lose weight and reach a healthy BMI. Try and avoid fad diets, as they often produce rapid results that cannot be sustained. They also tend to eliminate food groups or restrict the diet, which may result in you missing out on vital nutrients. Instead, adopt changes you can stick to for life. Eat a healthy, balanced and calorie-controlled diet, and exercise regularly. 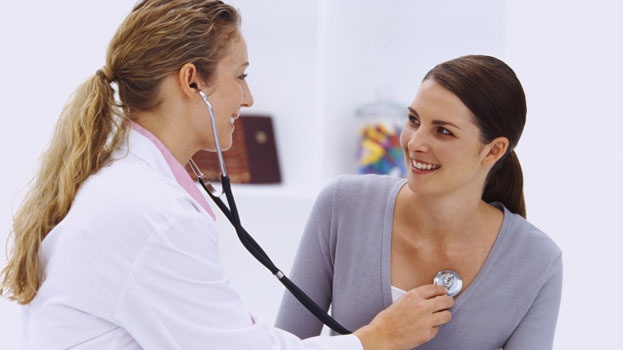 Your doctor can help you to draw up an exercise plan and give you tips on healthy eating. You'll also find a wealth of resources online. Smoking is often associated with lung damage, but it can also cause severe harm to your heart. Smoking damages the arteries, increasing the risk of atheroma, also known as atherosclerosis. This causes fatty debris to collect inside the arteries, restricting the passage of oxygen-rich blood. Smoking also reduces circulation, increases the risk of clotting, and elevates blood pressure. It is estimated that smoking accounts for 10 percent of global deaths from heart disease. If you're a smoker, giving up is the best thing you can do for your health. Smoking is the leading cause of preventable deaths in the world. It increases the risk of heart disease, stroke, cancer, and respiratory illnesses. It's not easy to quit, but there is a lot of support out there. Many smokers find it easier to give up when they're surrounded by others in the same boat, and group sessions are often highly effective. Nicotine replacement therapy can help you to curb cravings and control your mood. Other techniques that can be beneficial may include changing your routine, keeping busy, and writing a list of reasons why you want to quit smoking. If you're a smoker, it's also a good idea to get your blood pressure checked. High blood pressure doesn't usually cause obvious symptoms, and you may have hypertension without even realizing. Your diet has a direct impact on your cholesterol levels. It can also put you at risk of diabetes and obesity. There are certain things you can eat that benefit your heart. But there are also foods that you should try and avoid. Keep an eye on your intake of saturated fats, trans fats, and salt. The recommended daily intake of fat is around 65 grams for women and 70-80 gram for men. Of this total, saturated fats should constitute a maximum of 20-25 grams. Foods that are high in saturates include fried food, processed meat, butter, cheese, pastries and cakes, and cream. If you're concerned about your diet, you'll find loads of healthy eating tips and simple recipes online. It's also really helpful to keep a food diary. This way, you can monitor your intake of fats, protein, salt, sugar, and carbohydrates. Try and cook at home, embrace whole grains, and aim for at least five portions of fruit and vegetables per day. Swap frying for grilling or oven baking and processed meats for lean cuts, poultry and fish. Your health is something you should never take for granted. Sometimes, there are no outward signs that everything's not right. Think about your health when you make lifestyle choices. So many cases of heart disease are preventable. Try and focus on taking steps that will protect your heart and reduce your risk of heart disease. Seek help to give up smoking, be more active, and eat well. If you're overweight, make it your aim to get to a healthy BMI in 2017. It's never too early to make positive changes, but it can sometimes be too late. The diet should be checked for heart diseases..